Tap Into Knowledge: “Successful Branding: Building An Emotional Investment"
In this panel, speakers will discuss the importance of storytelling and the value of brand cohesion. This session will provide strategies and tactics to help build brand awareness while promoting your brewery. Kris Anacleto, Mr. Manger, Booze Brothers Brewing Co.
Mark Weslar, VP of Marketing, Karl Strauss Brewing Co.
Limited seating available on a first come, first served basis. Ticket includes 1 free beer per person. Must be 21+ and show valid ID. All ticket sales are final. Beer: Attendees must pay for additional beer(s) individually. Cash only. Mr. Manager, Booze Brothers Brewing Co.
Kris Anacleto has been involved with the craft beer community for the past 4.5 years as a Co-Owner of Booze Brothers Brewing Co. and Owl Farm Unique Fermentations. Over that course of time, he was elected as the president of the Vista Brewers Guild, and now sits on the board of directors for the SD Brewers Guild. Before diving head first into the craft beer world, Kris spent his career involved with video production and graphic design. 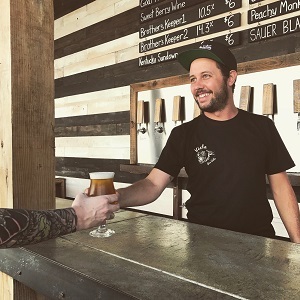 Kris has taken those skills and applied them to the Booze Brothers and Owl Farm brands while collaborating with other artists to help each brand significantly stand out on their own. Sabrina has been a marketing and communications professional for more than 12 years. Transitioning from a small Idaho town to the glitz and glam of Las Vegas, she attended the University of Nevada, Las Vegas, graduating with a Bachelor of Arts degree in journalism and media studies with a minor in business marketing. Her marketing experience is focused on travel and the food-and-beverage industries. During her career, she has overseen communications and marketing efforts for Las Vegas-based airline, Allegiant Travel Company, lifestyle clients as part of an advertising and public-relations agency, small-to-mid-sized airports and aviation-related businesses and Stone Brewing, the country's ninth-largest independent craft brewery. At White Labs, Sabrina oversees marketing efforts, including event participation, creative services, advertising, public relations, marketing communications and social media for all of the company’s subsidiaries—White Labs San Diego, White Labs Boulder, White Labs Asheville, White Labs Copenhagen and White Labs Kitchen & Tap. She also oversees the company’s educational offerings as well as a pair of tasting rooms in San Diego and Boulder, Colorado. Sabrina holds Certified Beer Server status through the Cicerone Program and is a member of the Pink Boots Society. When not dreaming up the next creative way to reach customers, she enjoys the daily grind of raising two strong-willed daughters, attending concerts and cooking (mostly edible) family meals. Matt Zirpolo has always been interested in branding, sales and marketing. He graduated from UCSB with a degree in Communication and Marketing and focused his studies on how different products, ideas and companies entice customers and build a brand. While at UCSB he helped implement the Intercollegiate Athletics Marketing Department at UCSB which sought to generate and increase student interest in UCSB sports. After graduation, Matt focused his newly learned knowledge on a sales job selling Canon copiers. Though not easy, he learned a lot from this experience. He sold more copiers in his first year than any sales rep in the 15 year history of the company and continued to be the top rep during his 5 years working for the company. All of these experiences helped him and his partners achieve their dream of starting a successful craft brewery. 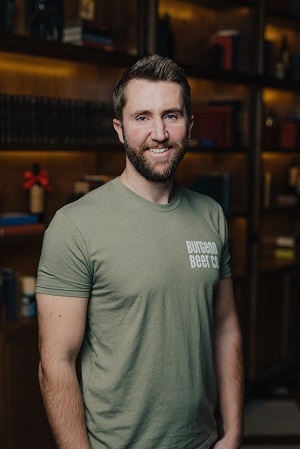 They worked on Burgeon Beer for three years before they opened and Matt created a strong branding strategy that could “grow” for many years to come. Matt applied skills learned from his past experiences to create not just a brand, but a meaning associated with it. 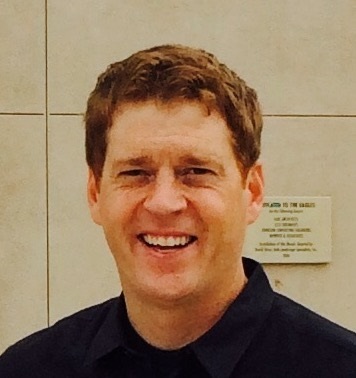 VP of Marketing, Karl Strauss Brewing Co.
Mark Weslar is the VP of Marketing for Karl Strauss Brewing Company. 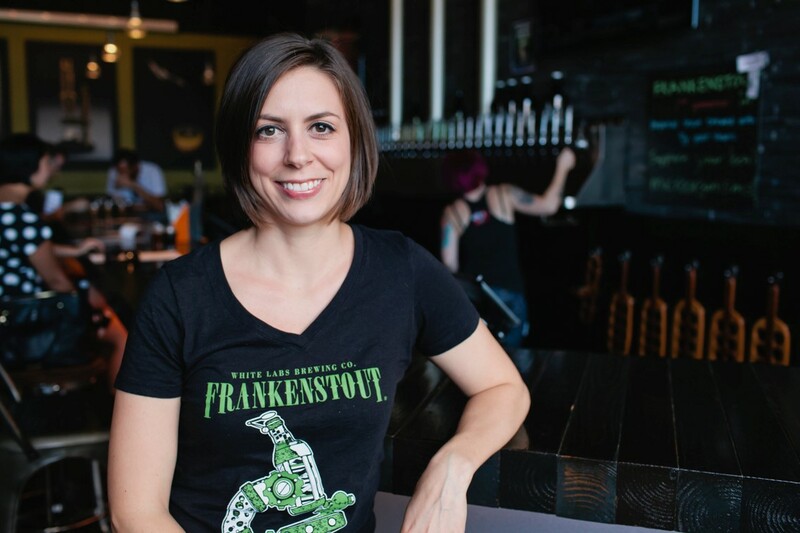 In this role Mark leads all marketing related efforts across their beer and brewpub business. Mark has over 16 years of experience building beer brands, including brand marketing assignments with Guinness Brewing, Coors Brewing Company and MillerCoors. Stephen Brucher is the founder and creative mastermind of Paradeigm, where he leads a talented team of 12 creatives (and growing). Paradeigm is a San Diego-based, full-service marketing agency, working with companies to build their brand and share their story. A proud Aztec and San Diego State University alumni, Brucher boasts more than 11 years of experience spearheading brand, social media and creative marketing campaigns. 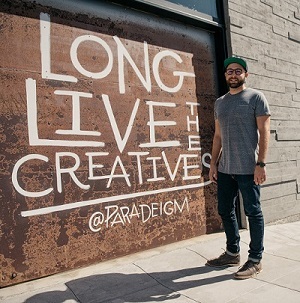 Prior to launching Paradeigm, he handled digital, social and interactive branding strategies for Stone Brewing, and most recently served as art director at University of San Diego. Through his award-winning work, Brucher has generated hundreds of millions of impressions, web page views, and revenue by using organic, ‘go-viral’ marketing tactics.